What Commercial Pest Control Services Can Do For You? Thanks to the commercial pest control companies! They make your life a lot easier. When it comes to commercial pest control, there are many aspects you need to consider. The last thing you want in your office space is pests. Not only it is annoying, but it also creates a bad impression on your client. Is that what you exactly want? As you must have now understood, this can affect your business badly. Furthermore, you will start losing money. There are many reasons why you should look for commercial pest control services. Once you have an idea of what exactly you are looking for, it is the very right time to get an appointment. Remember, it is always a good idea to do things sooner. You should take time to find the right company so that you won’t have to pay more for this service. However, if the problem continues the situation may go worse. And if this happens, you will find yourself in a big trouble. There are times when choosing the right pest commercial service is one of the main things which you should do. In other words, you should be prepared for the worst if you don’t take action at the right time. Rather, you should make sure that the company you choose can help you get rid of the pests. How much does the commercial pest control service cost? Do I need to do something to stay safe when the process starts? 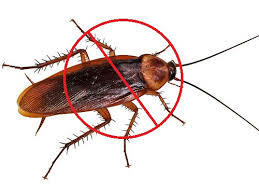 Keep all these great tips in mind when choosing the best cockroach control Perth services.